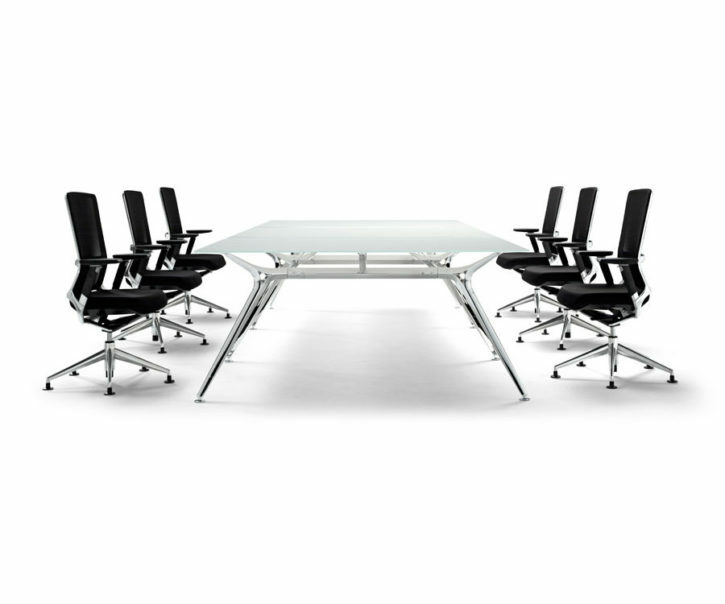 Glass Boardroom Table - Ark by Tag Office View it Here. 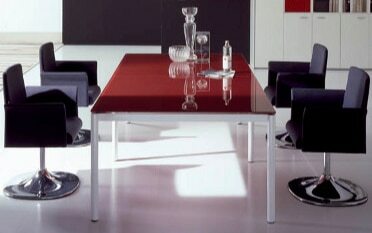 Sleek glass boardroom table with a beautifully structured frame. 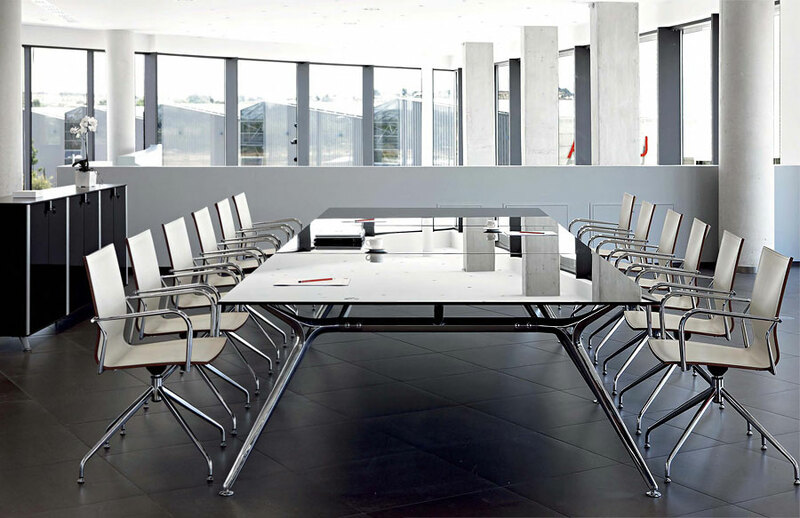 Ark is a classic design glass boardroom table with a sleek slimline silver or chrome frame. 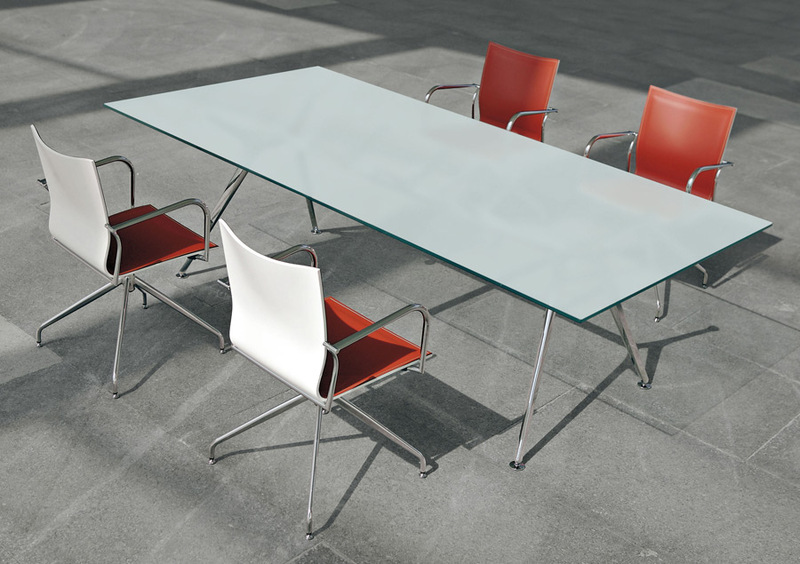 This contemporary range of boardroom tables are available in different coloured glass finishes such as clear glass (certain dimensions only), frosted glass, white glass or black glass. 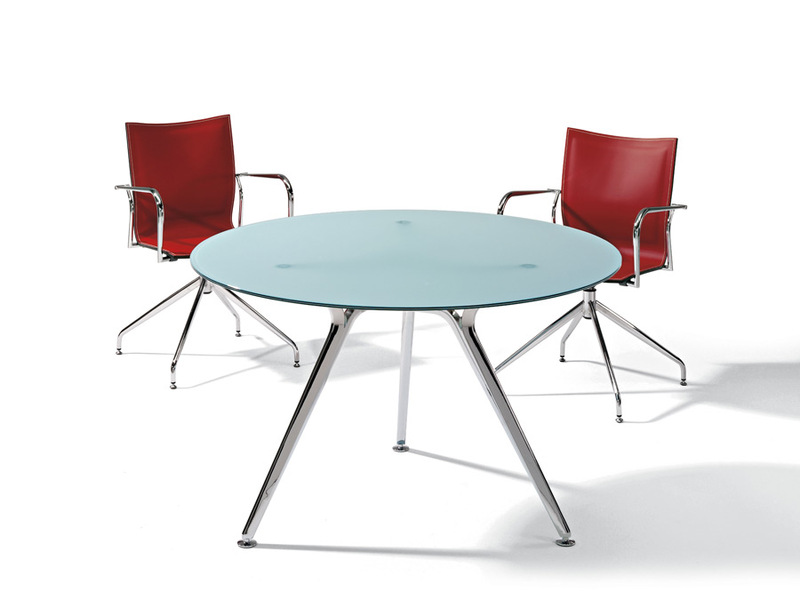 Various sizes are also available in this range alongside optional matching executive furniture. 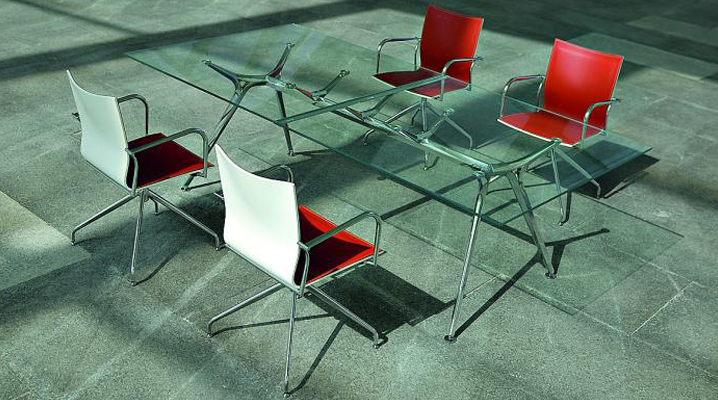 Frame: Aluminium with White coating, Silver coating, Black, Chromed or Polished finish. Aluminium levellers with anti-skid pad. 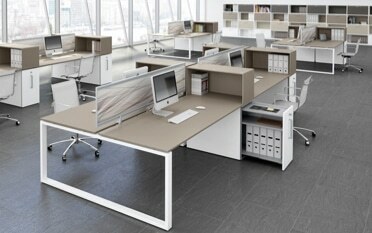 Matching desks and storage available. 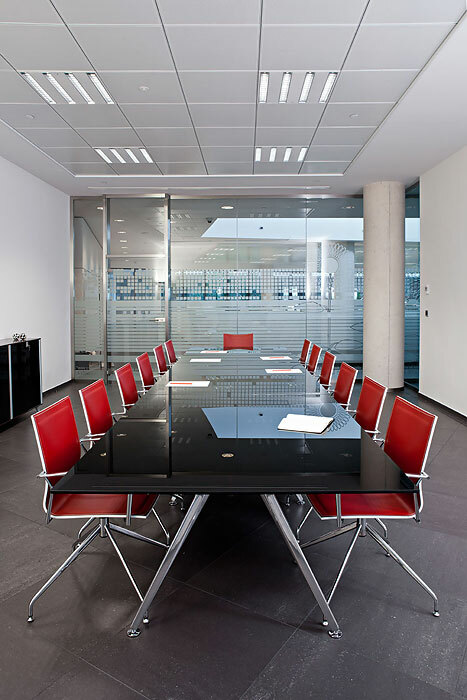 Square: 1200w x 1200d (mm), 1600w x 1600d (mm). Rectangular: 1600w x 1200d (mm), 2420w x 1610d (mm), 3200w x 1200d (mm). 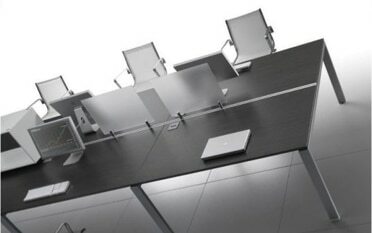 Glass: Frosted, Clear, Black, White Clear. 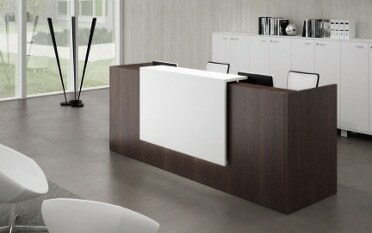 Compact Laminate: White, Maple, Chestnut, Wenge, Black. 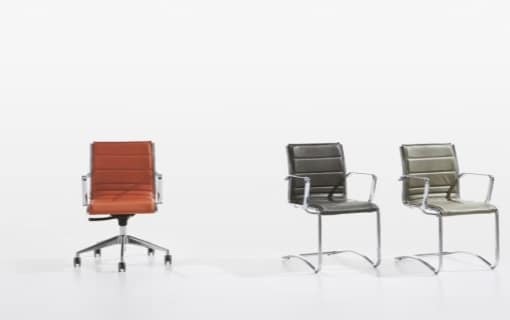 MFC: White, Maple, Chestnut, Wenge, Black.